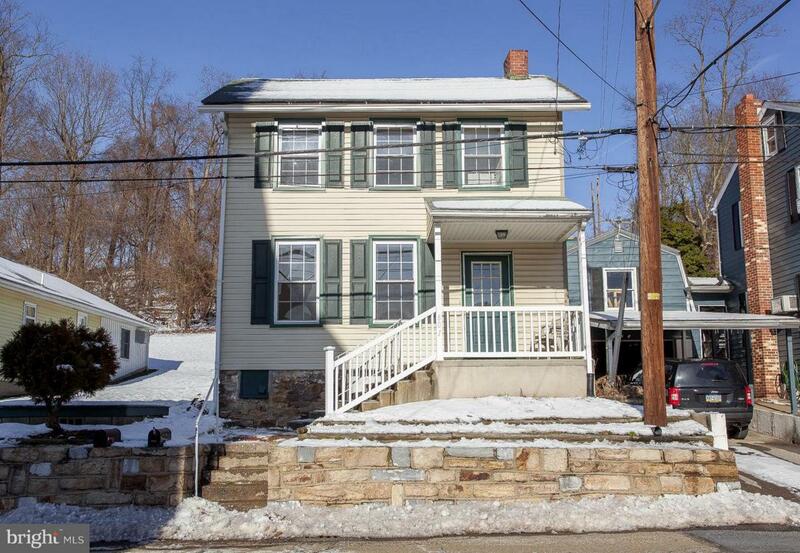 Come make this adorable home in Dauphin Boro your own! The scene is very picturesque with the stone walls pretty mountain views on both ends of the street. This traditional style home has beautiful hardwood floors flowing throughout. Kitchen has been recently updated with new cabinets and counter tops. Separate dining room! Recently treated to a fresh coat of paint and new plumbing. Windows were installed in 2009. Utilize the interior and exterior access to the full unfinished basement for all of your storage needs. Attic space is also available. Sit on your brick covered patio and enjoy the backyard while listening to the sounds of nature. You can't beat this price for a detached home, come see it today! This home qualifies for our Money Back Guarantee!